(Guest) vocals in a sampled form are not so uncommon in Ancient Methods releases, if to recall tracks under the Room 506 moniker and for Metaphysik. In the debut for Candela Rising, four acts are contributing to the industrial beats with human voice, beginning with the shouting fairy Zohra Atash from Azar Swan in “Swallow Screw” and raspy intervention by Huren in “The Standards Will Come And Go”. After A-side’s straight industrial takeoff with dark wave elements, the other side adds some dreamy notes in “It Won’t Take Me” from Tropic Of Cancer and Camella Lobo. “Andromeda” with Zanias’ suggestive voice is an EBM ballad for searching distant galaxies and the highlight of the EP that comes in black and clear vinyl editions. 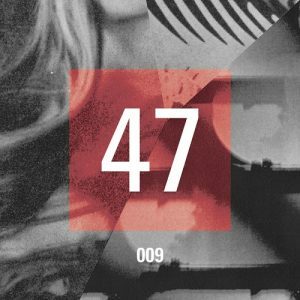 Another industrial techno stalwart Headless Horseman is not joking when the anonymous act from Berlin returns to 47 after appearing on the label’s mini compilation. 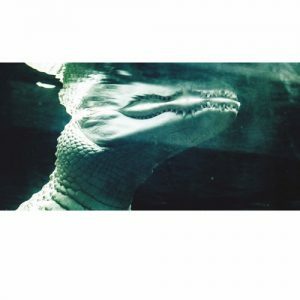 Wall-cracking bass and slicing synth stabs guarantee full action on the A-side, when the annihilation mode is switched on with “Widow’s Peak” and the doom atmosphere arrives with “Shattered”. The B-side is about post-combat emotions when “Bleeding Arrows” remains intense in a form of relative mid-tempo stepper and even machines can cry when listening to “The Day She Vanished”. Gradually I’m starting to feel that Voitax could easily skip the argument of ‘hand-stamped’ and ‘limited’ to sell its editions. 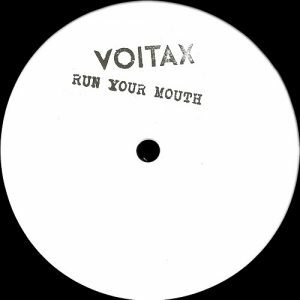 After Cressida’s strong “Hymn To Lust”, the ninth Voitax comes from Rory St John, a producer who has had occasional releases since 2008 and is now debuting on the Berlin label. Semi-acidic opener “Five Minutes Of Foregiveness” gives bang for the buck with brutalised EBM bass line and testosterone-dripping vocals. Tight and thundering neo-tribal “Call For Submission” and grinding “Run Your Mouth” would please the Network 23 devotees while the darkest moments arrive with distorted and noisy “Suicidechain”. Robust industrial fare, with the strongest kick in this selection.